​​​ AMARILLO – A groundbreaking ceremony took place on the city’s long-awaited Field of Dreams. 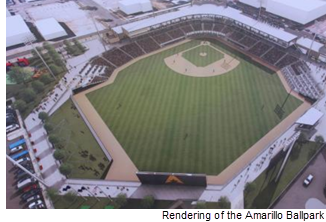 The $45.5 million Double-A ballpark will be home of a yet-to-be-named Minor League Baseball team. The target completion date is February 2019, with a deadline of April 1 for completion of some facilities, such as front offices.